Samsung has announced the Samsung Smart App Challenge 2013, the company is looking for developers to build new applications for its Galaxy range of devices and is offering a total of $800,000 in prizes. Samsung are looking for developers to create apps for communicating, and developers can sign up at the app challenge website, apps must be registered between the 20th of June and the 31st of August. 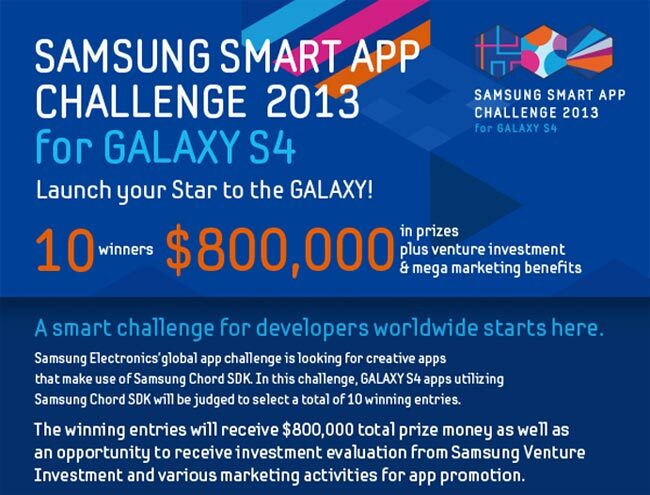 You can find out more details about the Samsung Smart App Challenge over at Samsung’s website.